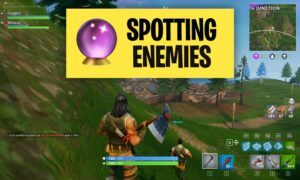 Building in Fortnite is one of the most important game mechanics. 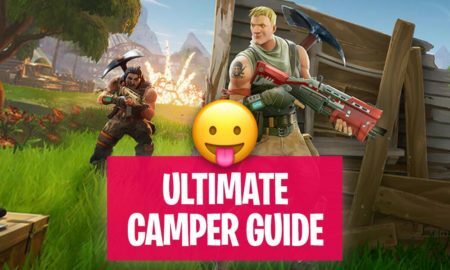 Find crucial Fortnite building tips here and learn how to be a great builder in Battle Royale! 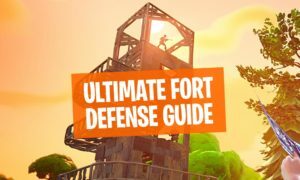 Building structures in Fortnite is one of the features which makes it different from other games like PUBG. This feature includes multiple things in it like building, upgrading and repairing basic structures. 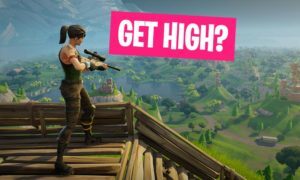 We can consider walls, floors, stairs, and roofs as basic structures of Fortnite. 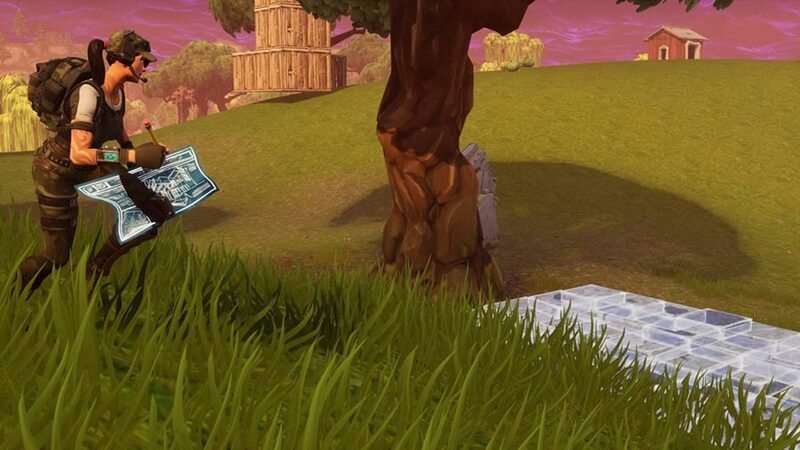 The building also includes placement of traps, you can use traps as defensive and offensive as well. 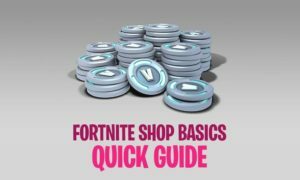 For creating building structures in Fortnite it requires resources because in real life if you are building something you also need resources to build that thing. 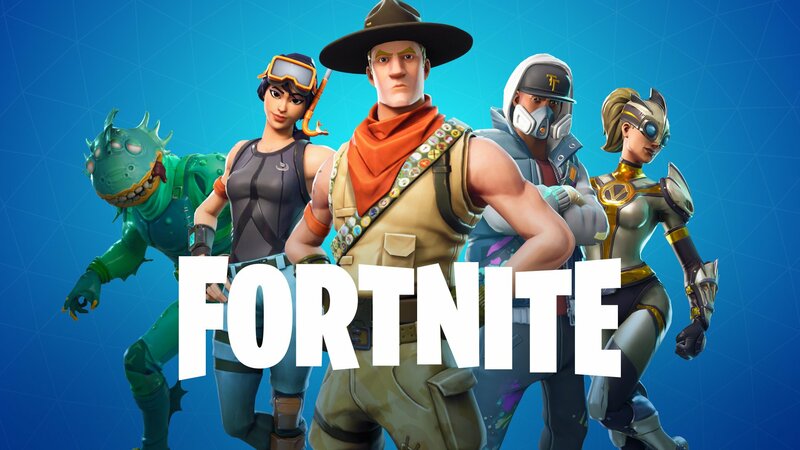 The resources which are available in Fortnite are Wood, Stone, and Metal, find a Fortnite material wiki here. These are the three resources which you have to find in Fortnite. 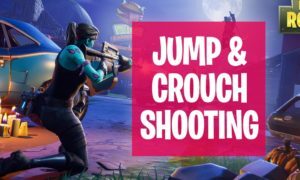 You also obtain these resources by harvesting and destroying objects. Let me suggest you something from which you can obtain a lot of resources: Go for wooden objects (trees, houses) and rocks. If you want metal then you can obtain a lot of metal from old factories. To improve your resource farming behaviour read this guide. 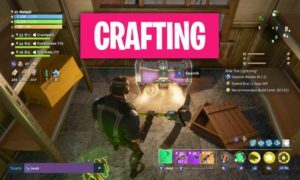 Why building is important in Fortnite and how can I build? 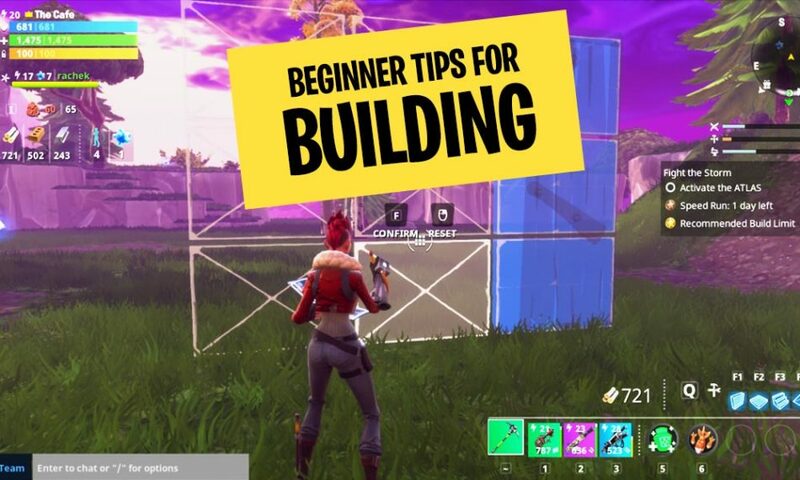 Building structures is a very essential part of Fortnite, if you want the Victory Royale then you have to become professional in building structures. 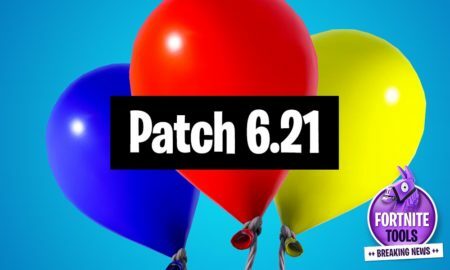 Because, when you have low hp or if you are surrounded by enemies and your main goal is to survive then building is going to be your best friend. If your enemies cannot hit you then how you will die? With the help of structures, you can also kill other players. You can build a large structure and by staying on the top you can easily kill players with a sniper. Now let me guide you about the key binds to building different structures . 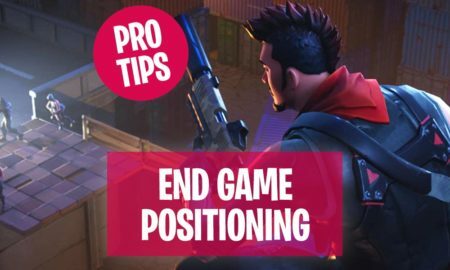 But before that kindly make sure that your keybinding is optimal for both quick construction and weapon switching because without that option this method is not applicable. 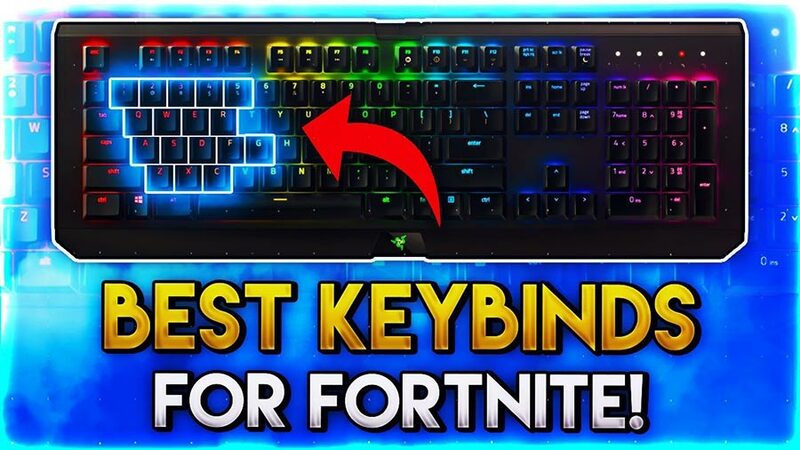 This method of key binding will be different for each device or gamepad and it is also dependent on the machine you are using. So, keep these two things in your mind before using it. 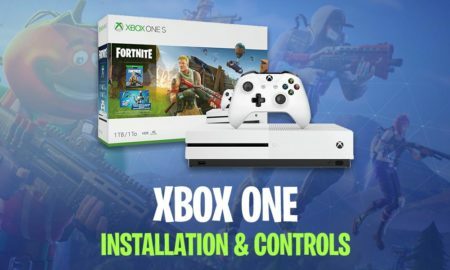 If you don’t want to use the shortcut keys then you can simply go for the Fortnite build menu. Within the build menu, you will find some holographic images of different structures you just have to place your cursor on those structures and on the display it will ask where you want to place your structure. If somehow you want to modify the desired structure then you simply have to press “G”. 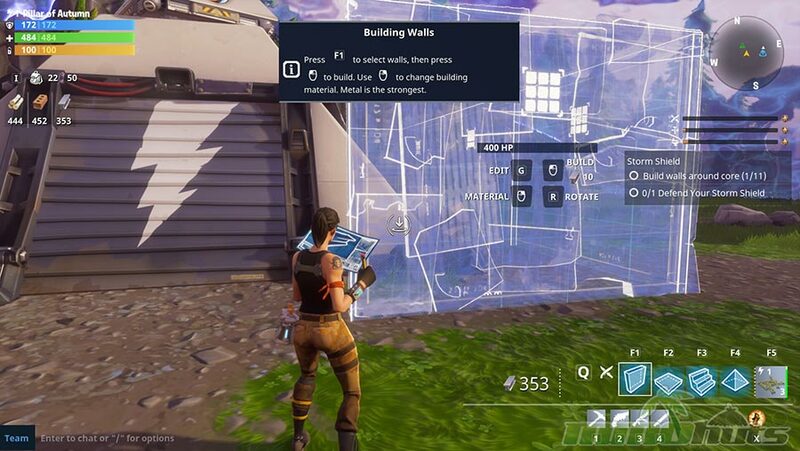 Each of the Fortnite Building configurations has a different amount of health point. We can take an example to clear this concept if you are building your dream house it is simple that the more resources you will use for your house, the stronger and reliable your house will get. Just like that if in Fortnite you use more blocks to build the structures the stronger your building will get. Then your building will be able to handle more attacks from your enemies. 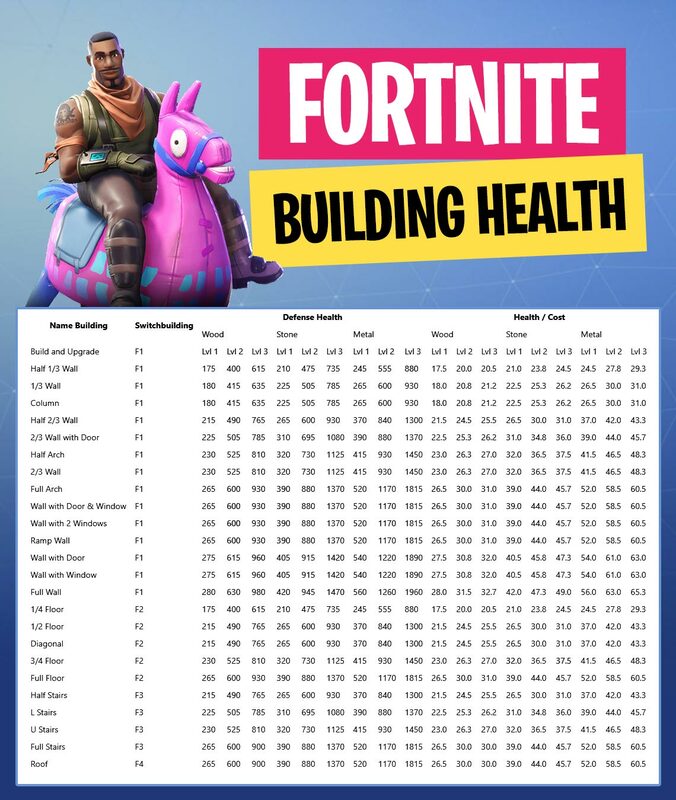 The table below will help you in understanding the Fortnite health system of buildings. 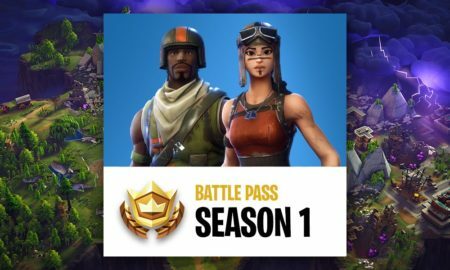 Here are 3 quick tips for a building setup for Fortnite Battle Royale. 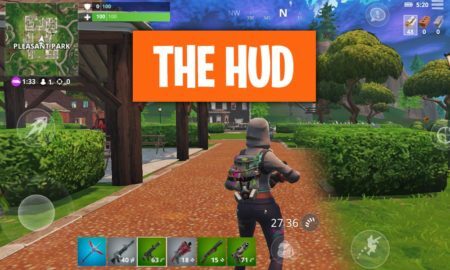 Turn on Fortnite turbo building: Turbo building is a very important feature in Fortnite for beginners. Because this feature helps you in building multiple pieces of structures by just holding a button. You just have to hold your build button down. 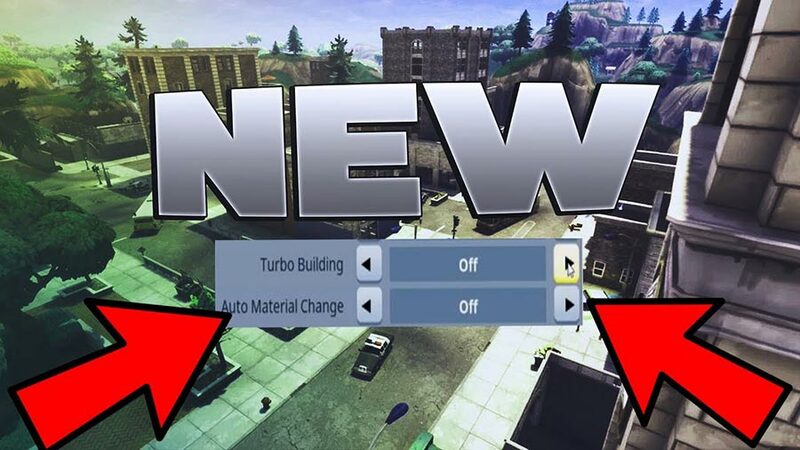 Before using this method check the setting and make sure that the turbo building option is activated. Turn on Auto Material Change: This option is also very important for starter knowledge of buildings. You just have to turn on the option from the settings and it will make building a lot easier. The main purpose of this option is to automatically switch to another resource, if somehow you run out of a resource. This is a very helpful option because in critical situations it can save you from death. This is a life saver option, as in high-pressure situations the last thing you’re usually monitoring is your resource counter. This will save your life in obvious and tangible ways many times. 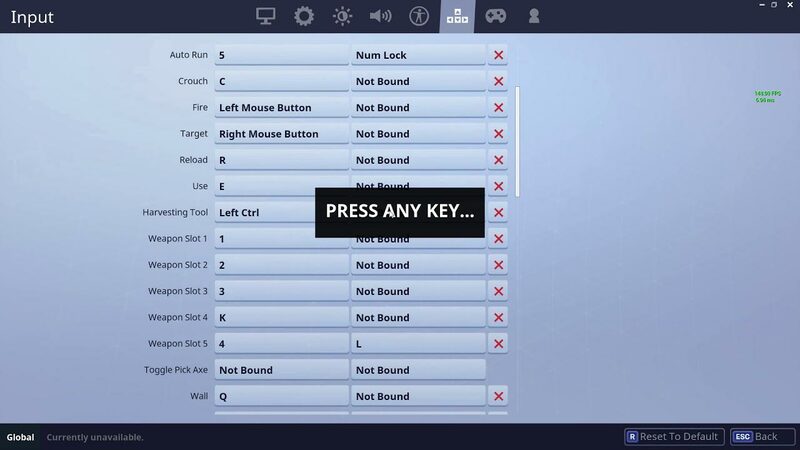 Set your Fortnite key binds properly: This tip is also very important for a Fortnite beginner. Because when the end of the game is near, you have to build multiple structures to save yourself and most important Victory Royale is also on the line. So, to build different shapes of structures the default keys should be on your fingertips. I use F1, F2, F3 and F4 because these buttons are suitable for me – of course, you can change them according to your comfort. Try to practice more, the more you will practice the more perfect you will get! 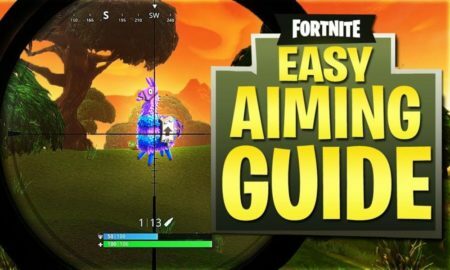 I hope these building tips are really useful for you, comment below or jump into the next Fortnite building guide.